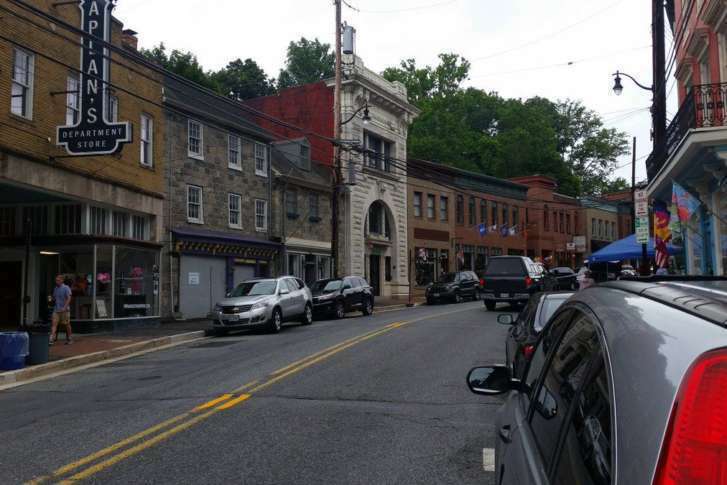 Due to the weather forecast, officials in Howard County scaled back access to Ellicott City’s Main Street on Sunday. 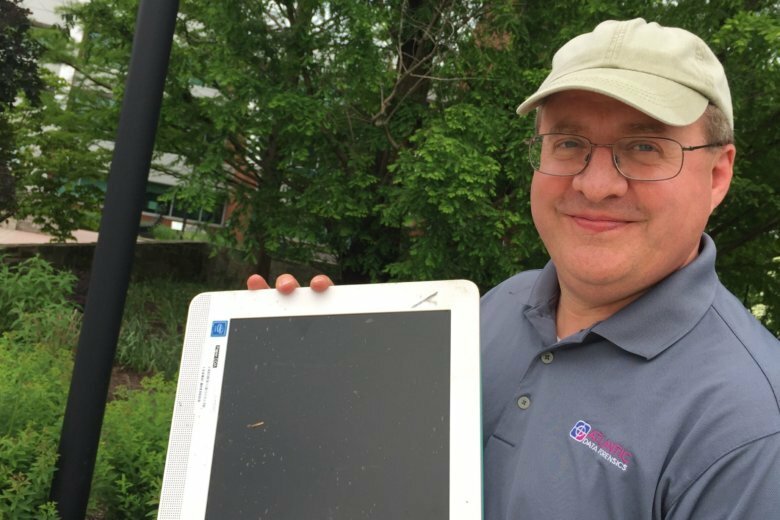 On Saturday, Geoff and Mark Haver found the frame and part of the face of the Ellicott City clock in the Patapsco River. 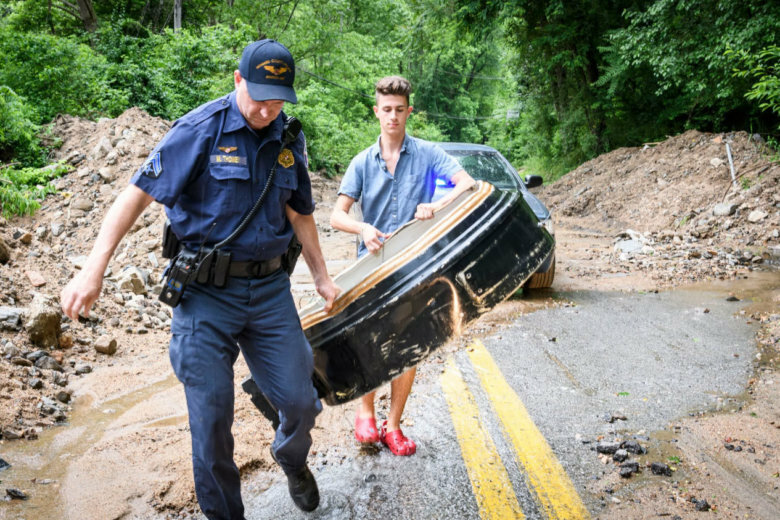 Howard County police helped the Havers remove the frame from the river and took it to a storage facility. 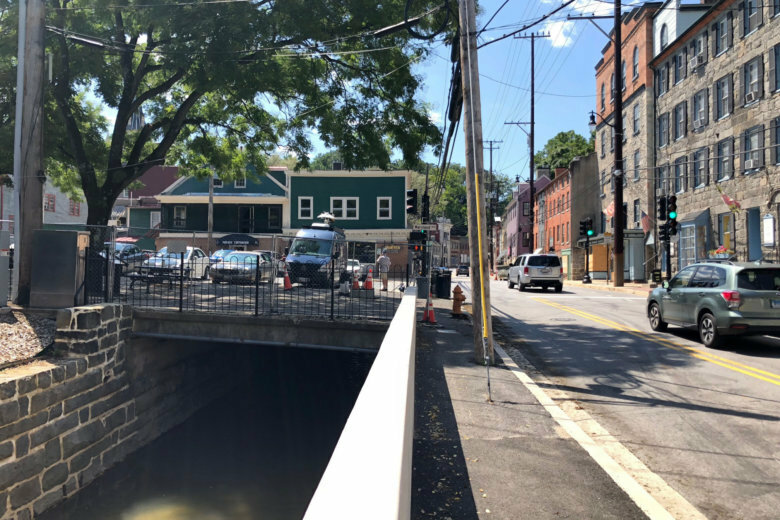 Main Street will be milled and repaved as part of the city’s continuing recovery from the deadly flood that devastated the area on July 30, 2016. 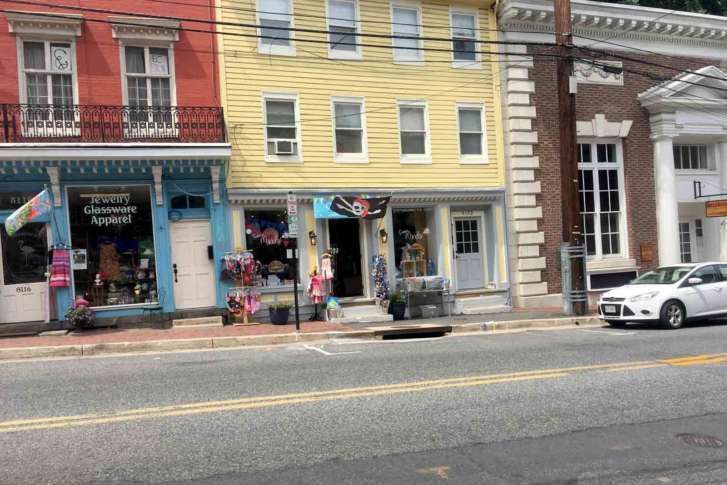 Last year’s deadly flood in Ellicott City left many businesses with the tough decision of whether they should rebuild along the historic Main Street. 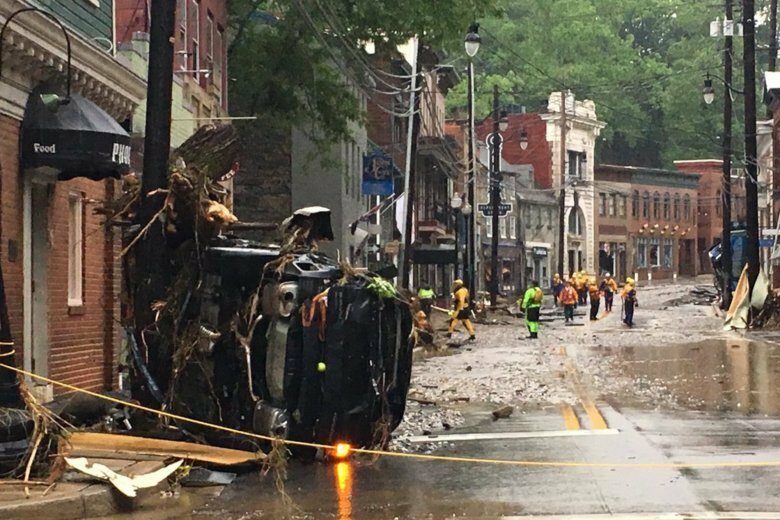 The Ellicott City flood anniversary brings gut-wrenching memories of what the town went through. 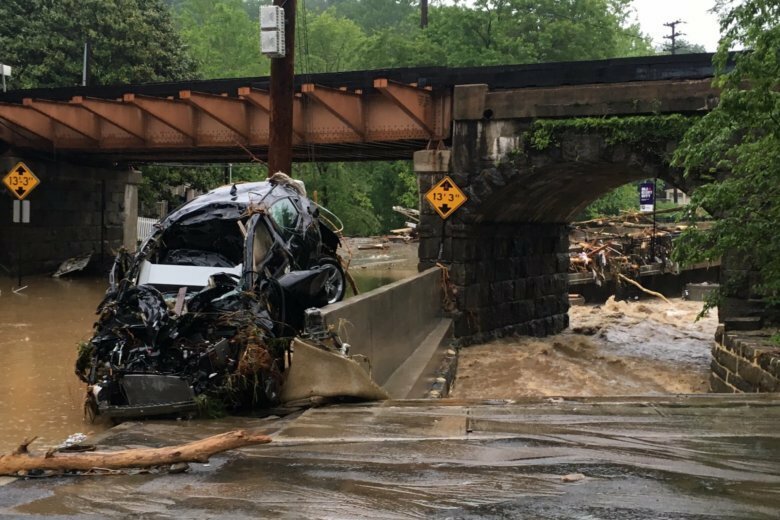 And sadly, not everyone made it out alive. 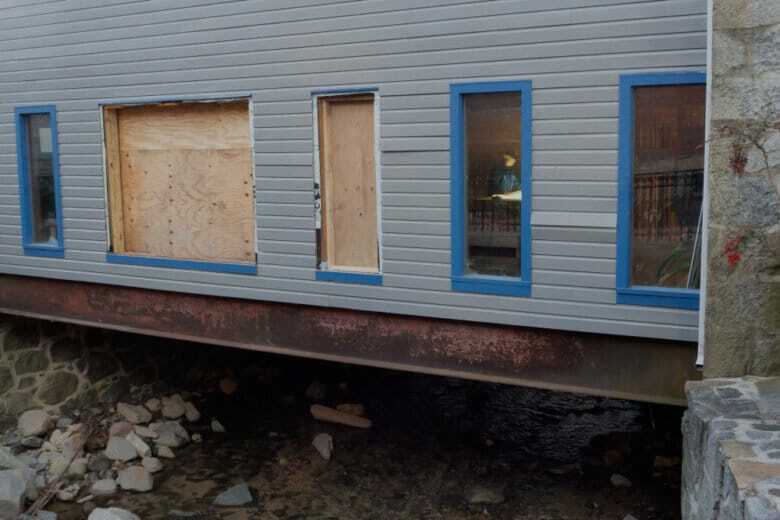 Three deaths are attributed to the floods. 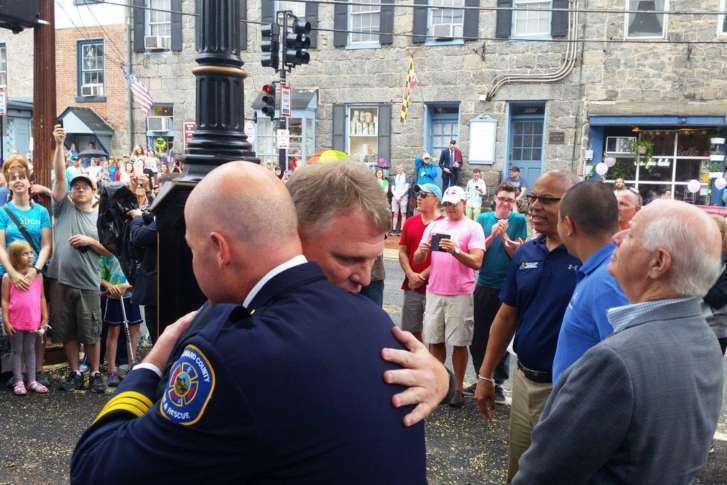 July 30, 2016, is remembered as a day when ordinary people took extraordinary risks to save themselves and others from floodwaters that overtook downtown Ellicott City, Maryland. 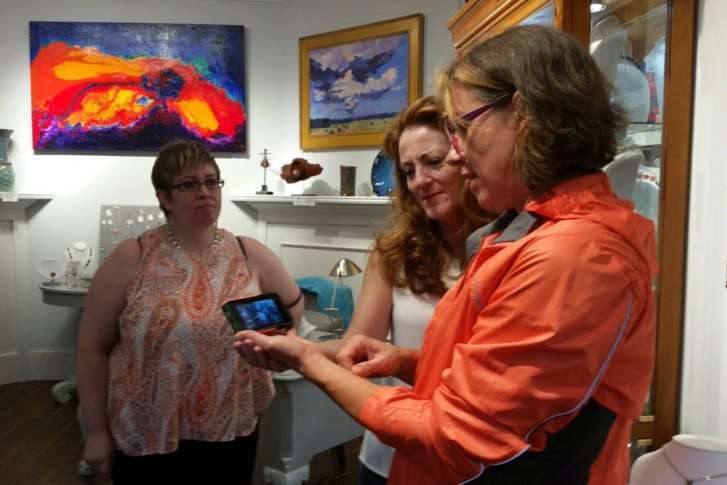 WTOP talks to survivors about their memories of that night and where they are 1 year later. 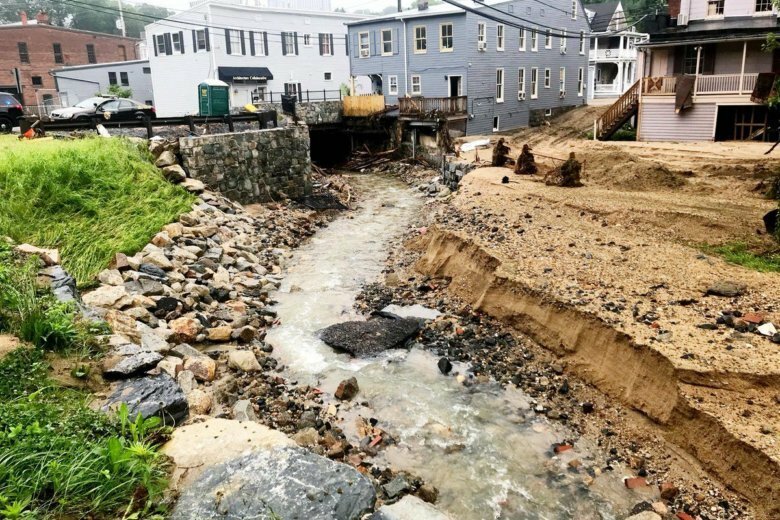 It’s going to be both a joyous and difficult weekend in Ellicott City as the town commemorates destructive floods from a year ago. 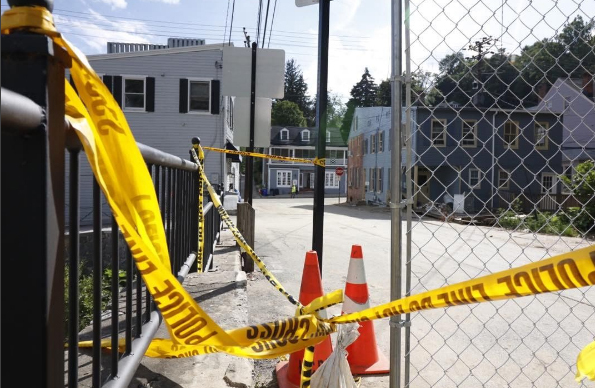 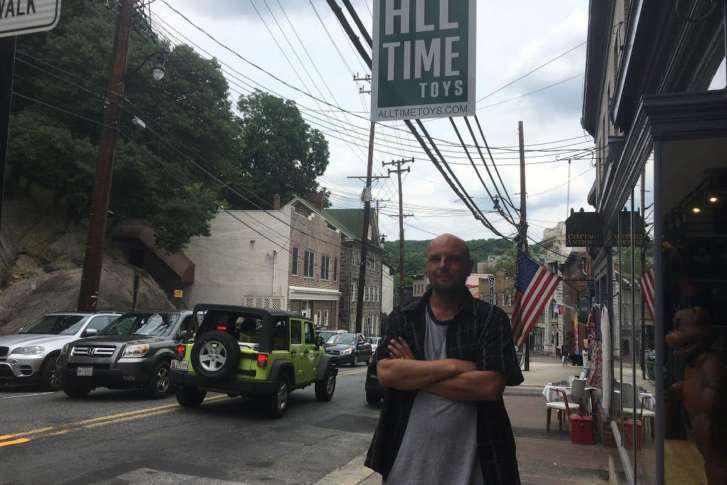 A man who was working behind a business on Ellicott City’s flood-ravaged Main Street fell from a scaffolding Friday afternoon and died, Howard County police said.